At this point in my life, it is very rare that any of my friends get married. I’m 35 so most of them got married a long time ago. I love my couples and enjoy getting to know them, but it’s just not the same as being there for someone I’ve known for a long time. The last wedding of a friend was probably 3 years ago, so I was so happy to get to be there for Annie and Matt’s wedding at the Garden Room. I’ve mentioned this before in their engagement session, but it’s worth saying again. I’ve known these two since junior high, and they have been together that long!!! That’s like 19 years. Anyway, I’m so happy for these two, and I’m glad I could be there to capture it all. Matt and Annie weren’t looking to have the biggest wedding ever. It was more about the people there and the relationships, but it was still beautiful. The Garden Room was decorated with all these cool pumpkins and Matt had a special guitar for people to sign. Outside at the Garden Room doesn’t really need much decoration. It’s pretty the way it is. Annie did something interesting that I’d never seen. She had the chairs setup toward the bridge instead of the stage. This let them walk from the inside versus the back walkway. There were so many fun things in the short time I was there. On each chair there was a little paper cone with lavender. The plan was to throw it as they exited the ceremony. Well, most people forgot, but the last ones didn’t and really nailed Matt in the face. It was glorious. The best part of the day for me was the people. It was great getting to see Matt and Annie, but I also all of his groomsmen were my buddies. After a few hours of photographing, I got to put my stuff away and hang out and talk to them. Some of these guys I hadn’t seen in 3 years, so it really was special. 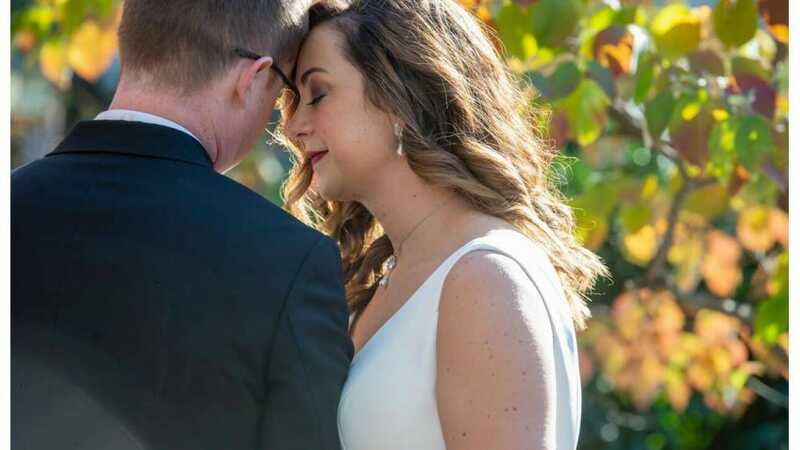 All weddings are special, but Annie and Matt’s wedding at the Garden Room meant even more to me. I’ve known these two for a long time and they’ve been together for as long. It made me so happy to see them get married and to hang out with my old friends.